Apple CEO Tim Cook has sent a company-wide holiday email in which he looks back on the year that was in terms of Apple’s accomplishments while acknowledging the contributions of the employees that have made them possible. Most notably, he announces in the email that Apple is set to make its “biggest ever” donation to (Product)RED thanks mainly to its recent World AIDS Day campaign. I’m thrilled to announce that our total donation for this quarter will be more than $20 million — our biggest ever — bringing the total amount Apple has raised for (PRODUCT) RED to over $100 million. The money we’ve raised is saving lives and bringing hope to people in need. It’s a cause we can all be proud to support. 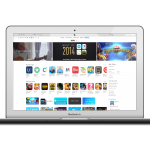 Most of the donation was no doubt raised through Apple’s World AIDS Day campaign from Nov. 24 to Dec. 7, the highlight of which was the Apps for (RED) initiative on the App Store. Apps for (RED) featured a number of iOS apps and games, including Apple’s GarageBand, with special (RED) content, the proceeds from which would be donated by Apple to (RED)’s anti-AIDS charity, the Global Fund. The campaign also included special promotions at Apple retail stores on Black Friday, Nov. 28, and on World AIDS Day, Dec. 1. 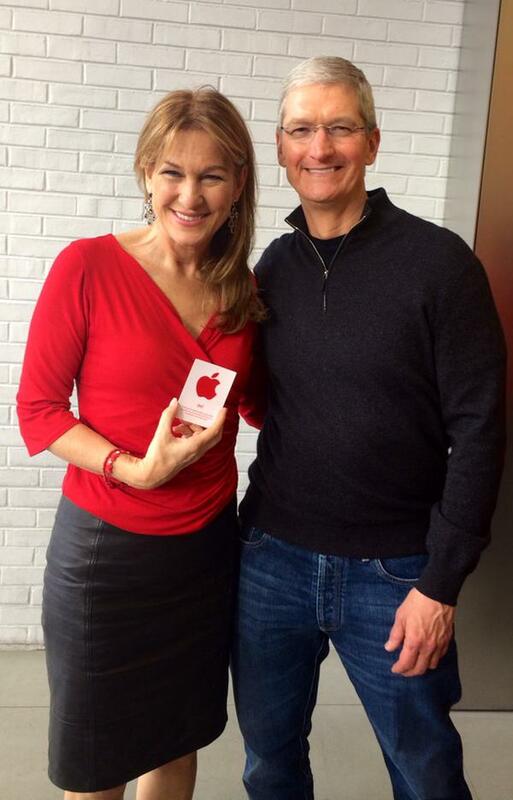 Notably, on the latter date, Apple retail stores around the world got a (RED) makeover and Apple CEO Tim Cook made a surprise appearance at Apple’s retail store in Georgetown, Washington, D.C., with (RED) CEO Deborah Dugan (both pictured above). 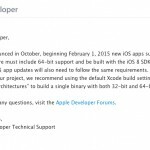 See also: App updates submitted from June 2015 on must offer 64-bit support, be built with the iOS 8 SDK, Expect huge App Store discounts, app updates in the coming days, and An updated list of the merchants, cards and apps that accept Apple Pay.